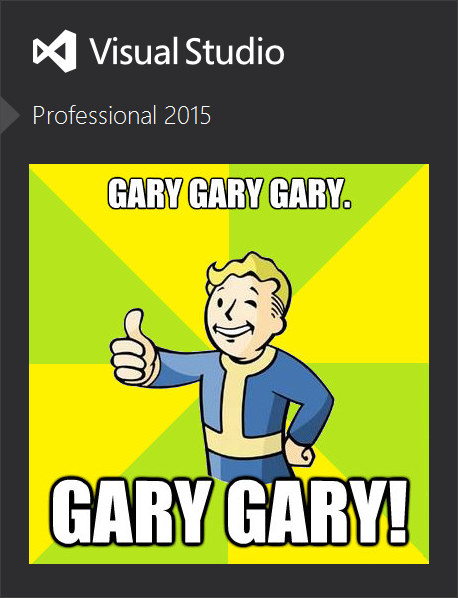 I have done this for Visual Studio 2012, 2013, and 2015. Update: This does not work in Visual Studio 2017. 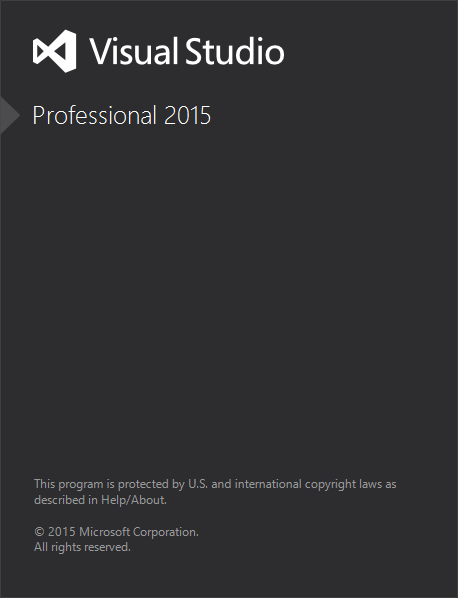 The steps below are for Visual Studio 2015, the latest and greatest at the time of this writing. Just change the “14.0” in the folders to the number that corresponds to your version. The launch screen is really a png file saved with dat extension. So the TLDR version is: rename, edit, rename. When you launch Visual Studio you get a splash screen for a few seconds. In older versions your name was imprinted on this image, but 2015 does not seem to do that. Note: you will need administrator privileges to complete these steps. Many steps like copying and saving files into the folder will give you a prompt to grant administrator permissions. This folder might be hidden. If so, then show hidden folders in your folder options or simply type this path into Windows Explorer. Make a copy of vs000223.dat file for safe keeping. 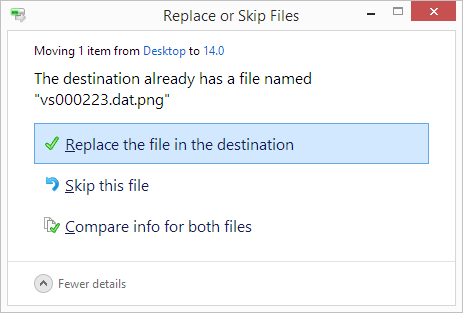 Rename the file with a “png” extension. Edit the PNG in any image editor. Save the image as a PNG but you will probably not be able to save it directly into the C:\ProgramData\Microsoft\VisualStudio\14.0\ folder. Save it somewhere else, like your Desktop then copy it into the C:\ProgramData\Microsoft\VisualStudio\14.0\ folder. Rename it back with the “dat” extension. 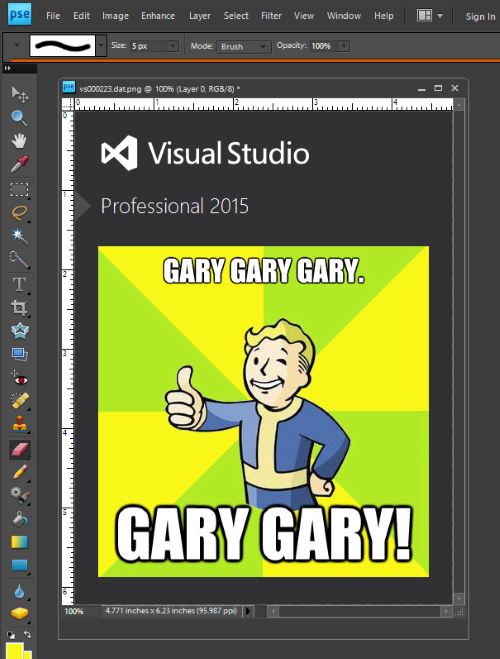 Launch Visual Studio and see it in action! Here is the source image. 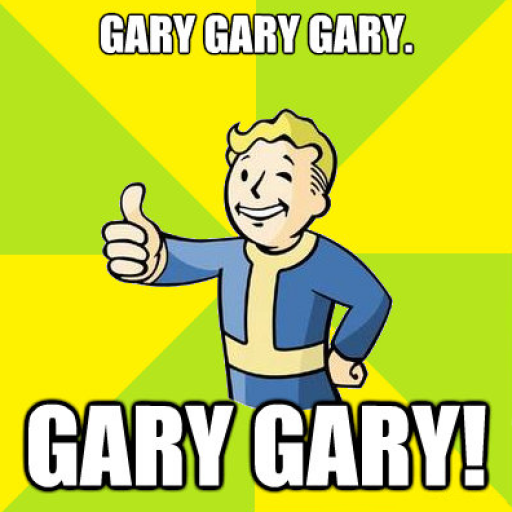 I yanked it from reddit.